You may think of yourself as someone’s parent, partner, relative or friend but if you are looking after someone due to long-term illness, disability, a mental health or substance misuse issue, you can also call yourself a carer. 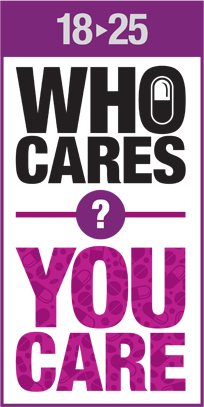 According to the 2011 Census, there are around 16,300 people providing unpaid care in Islington. This can range from helping with dressing or eating through to emotional or behavioural support. Caring for someone is part of life for most families and many people find it a rewarding experience. However, we know that caring can also take its toll on people’s physical and emotional health as well as on aspects of their lives such as finances and getting a break. Islington Carers Hub is here to provide advice, information and support to all carers aged 18 or over who live or work in Islington or care for someone living in Islington. We do this either directly or through our work with other organisations. We chair the Carers’ Pathway Group. These are meeting where carers come together to hear from a range of guest speakers about developments in services and feedback about know how they think services and support can be improved. See the Carers Pathway Group page for more details. Please explore the pages on our website for more information about support for carers including the different services we provide. Under the GDPR Regulations the ‘Data Controller’ responsible for your personal data is Age UK Islington (as Age UK Islington is the registered charity and organisation that operates Islington Carers Hub services). Our Privacy Notice explains how we collect and use your personal data and information about you, and how we work to protect your privacy and security. 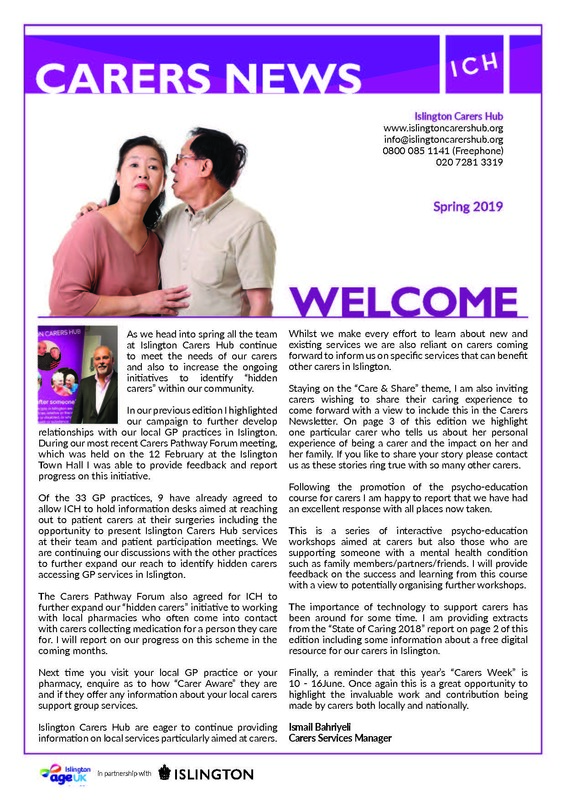 A copy of our privacy notice is available on https://www.ageuk.org.uk/islington/about-us/your-data/ and you can also request for this to be emailed or posted out to you (or to collect a copy from our offices).